JOIN OUR NEWSLETTER BELOW AND BE THE FIRST TO KNOW OF ANY NEW RELEASES! Welcome to White Dragon Press! We offer truly one-of-a-kind content in E-book format, audios, videos and in other media. Most of the material covers alternative energy, consciousness, metaphysics, healing and other related topics. The Quantum Key - Simple aetheric unified "field" model that explains the physics behind abundance. Whether it is showing how some machines can and do produce more work they it takes to run them or whether it is your own mind that helps you with manifesting more than your own efforts, The Quantum Key unifies these concepts that just about anyone can understand. Ignition Secrets - MURAKAMI IGNITION method uses the SAME amount of power as the CDI system but is so much brighter and more powerful that it is beyond words. It isn't even a spark or an enhanced spark - it is in a category all by itself - it is a bright white ball of wonder! 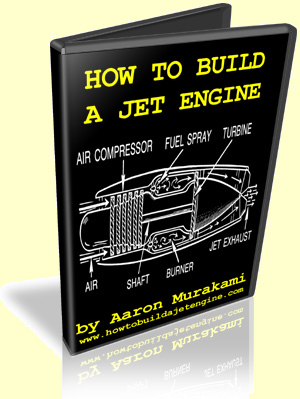 How to Build a Jet Engine - How To Build A Jet Engine With A Turbocharger Along With Some Efficiency Modifications Nobody Else Is Showing, Which Are Designed By The Inventor Of The World's Most Efficient Heat Exchanger!understand. Just read the testimonials on the site. Bedini SG - The Complete Beginner's Handbook - "The Bedini SG Is A Right Of Passage For Anyone Seeking REAL Free Energy! Save Thousands Of Hours Of Research, Trial & Error! For The First Time Ever, The Entire Bedini SG Circuit Process Is Revealed All In One Place." The Real History of the Ed Gray Motor - "E.V. Gray's Motor is One of the Most Sought After Technologies in the History of Exotic Energy Science. What You are About to Learn is the Real Story of Ed Gray and the Astonishing Path He Travelled to Develope, Prove, and Eventually Lose Control of This Incredible Technology." Advanced Motor Secrets - "Scientists and Engineers Have Always Told Us That Electric Motors 'Convert'Electrical Energy Into Mechanical Energy. Apparently, That's Not True! Perpetual Motion Reality - "The Natural World is in Perpetual Motion. Discover the True History of How Inventors Have Been Attaching Their Machines to the 'Wheelwork of Nature' for Over 400 Years! The Truth Will Astound You and Open Your Eyes to a World with Unlimited Amounts of Clean, Low-Cost Energy!" Magnetic Energy Secrets - "Physicists Have Always Said That Magnetism Isn't a Source of Energy. Well, They're Wrong! What You're About To Learn is Something That Has Been Kept Secret From The Public For Over 170 Years! These Really Are The Magnetic Energy Secrets That You've Never Seen Before!" Lessons in Advanced Perception - "If you have no thought, emotion, effort, pain or confusion stored in your own body, then any thought, emotion, effort, pain, or confusion of which you are aware is someone else's." Revealed - closely guarded manuscripts from the 1960's shows how to develop superhuman mind powers. Battery Secrets - "I've been building chargers and charging batterys with them for 11 years and thought I have a good handle on the charging process. 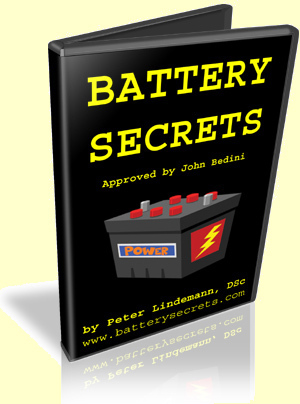 Peter's lecture opened my eyes..."
Learn why virtually all battery chargers on the market are actually designed to KILL your batteries and what the chargers actually do need to do in order to give them longer life! Magnet Secrets - "WOW...Awesome Information... Super Valuable... Surprised this stuff is not Banned... Thanks for the Excellent Product and Super Price...."
Many companies make claims about their magnetic products, but this is the only manual that gives you all of the documentation on the one, single method actually proven to work. Real Rain Making - "I have been successfully making rain and breaking droughts for decades. Now you can see, with your own eyes, how it is done!" Absolutely, one-of-a-kind documentation on the 40 year development of a successful rainmaking process. Package includes over 250 pages of photographs and information in two books and over two hours of live footage of rain making processes in three WMV downloads. Package includes a great deal of previously unreleased material and four bonus features. Classic Energy Videos - "These videos from the 1980's highlight a handful of researchers who are greatly responsible for laying the firm, scientific foundation for the "free energy" movement of today." Main package includes 5 films, representing almost 8 hours of information on paradigm shattering physics and electrical demonstrations. Major presentations by Bruce DePalma, John Bedini, Eric Dollard, and Peter Lindemann. Package includes 8 more bonus features including Bob Teal, Adam Trombly, Jim Murray, Chris Carson, and Parmahamsa Tewari. Save on Home Energy - How to cut your power bills in half! Several other "authors" have copied our information and have tried unsuccessfully to repackage it. Unfortunately, Clickbank is loaded with SCAM PRODUCTS in this genre that tell people they can install a solar system for $200 or build a magnetic power plant to run their home. We show you how to make the biggest savings on your utility bills for the smallest investment, using products available today. NOTICE: We never rent or sell our subscribers data to anyone. All information is held strictly confidential. "Get your $806 Synchronicity Boosting Package for free right now - Instant Download!"